I wanted to put a USB charging station in my truck for phone(s), bluetooth speaker, whatever. Got this Wagan unit through a cheesey rewards program at work but it's available at Northern tool for $35. I've already rewired my truck for 12v but see a lot of posts asking about splitting 12v off the stock 24v for accessories. 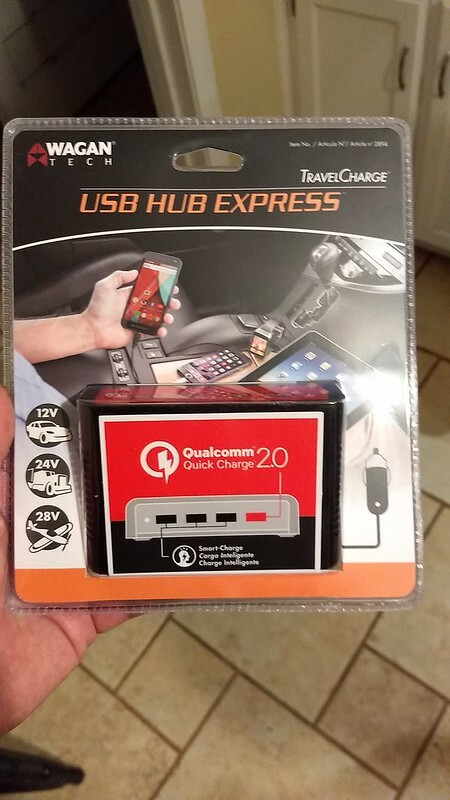 I saw on the package it'll take 12v, 24v and 28v so thought it might be a good option for original trucks if all you need is phone charging ports. Just wire in a cigarette lighter power port and plug this thing in. $35 seems a little pricey but I was impressed with the qualty of the thing. It's not a flimsy piece of junk, well built. Even the power cord plug is well built. Most plugs you see these days are made of thin plastic and come apart after unplugging them a few times. Some of the dash installed usb ports use 12 or 24 volt inputs. I have used the small 24-12v converter sold on ebay with good results (about $15).